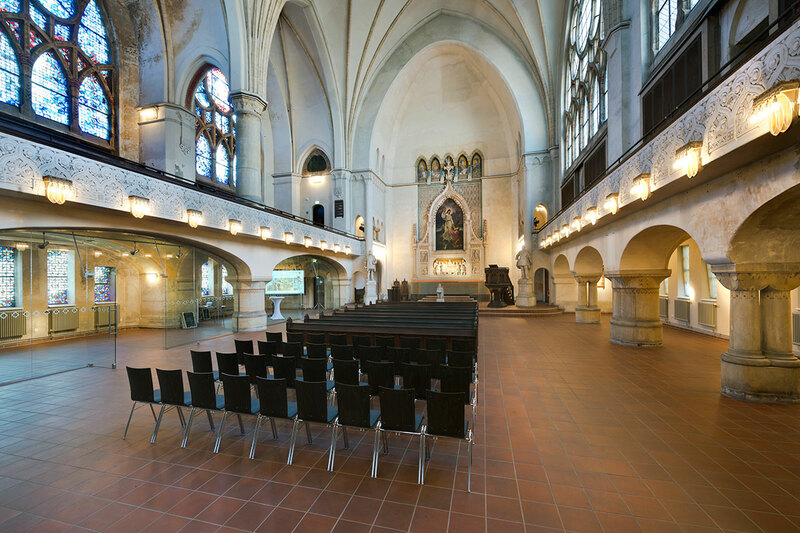 Zwinglikirche boasts lovingly restored historic details and a convinient venue right near Warschauer Str. train station. 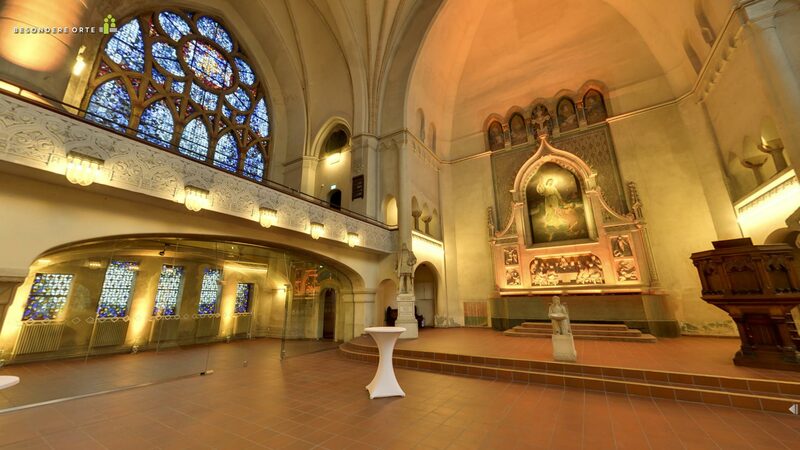 This event venue for 400 people is housed in a hundred-year old church with over 800m² of floor space indoors and a further 340m² of generous inner courtyard. 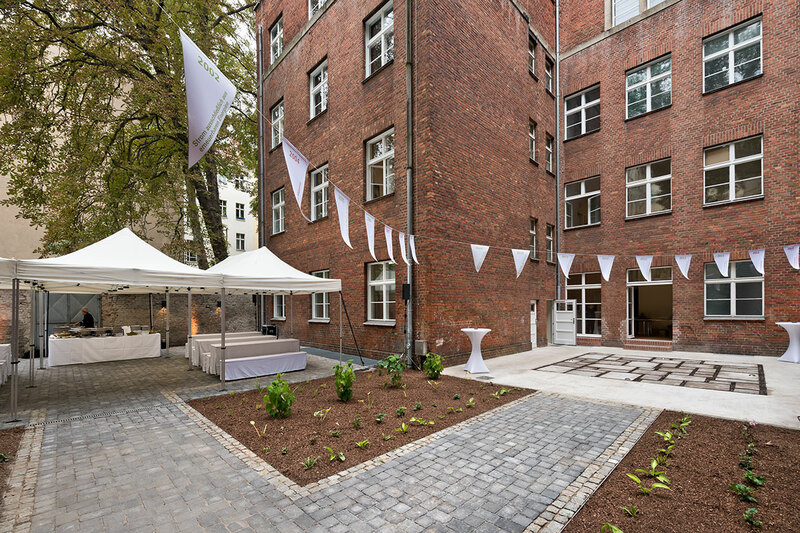 The courtyard makes this an ideal venue for open-air events. 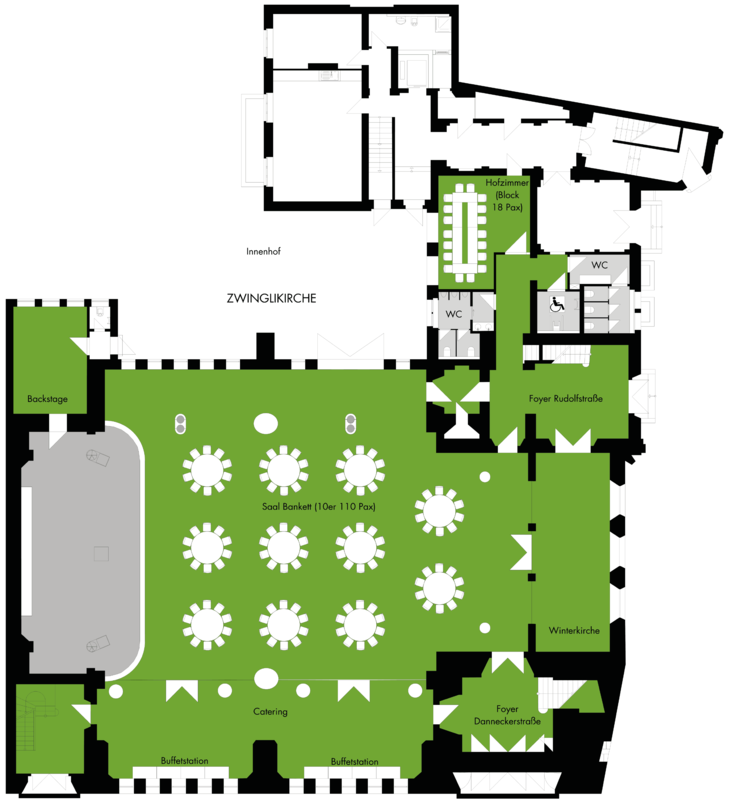 The venue lies right next door to Haus Zwingli in the Berlin media-hub area called Oberbaum City. 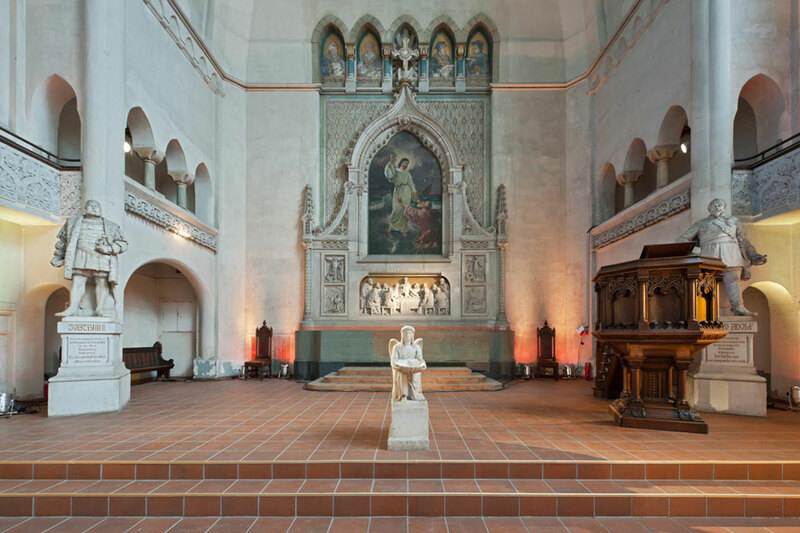 Zwinglikirche is ideal for events and gala dinners, and when used in combination with Haus Zwingli, some areas can be utilised as VIP areas, or convention spaces. 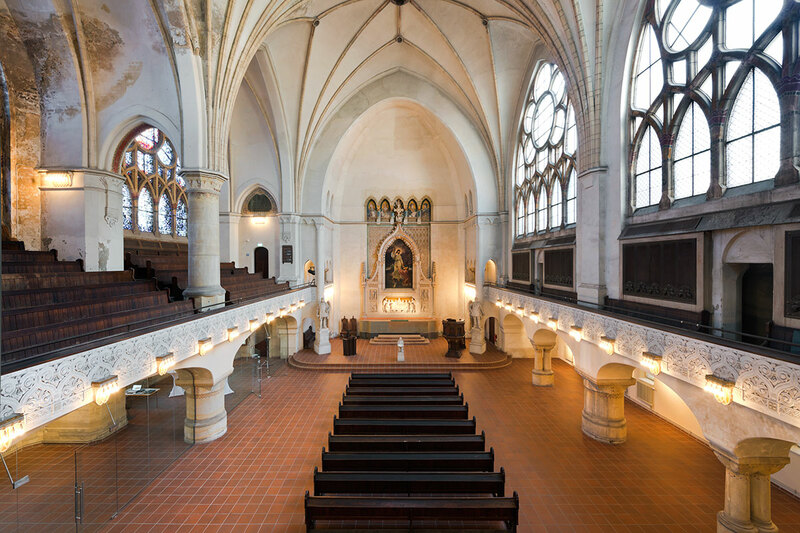 The main hall is the heart of the 100-year-old Zwinglikirche. 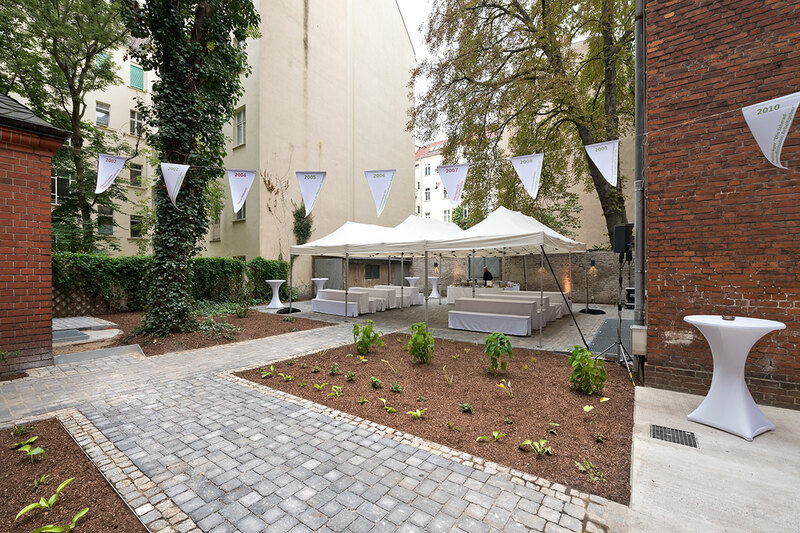 This event space is suited to all kinds of event formats: dinners, celebrations, product presentations, film shoots and events. 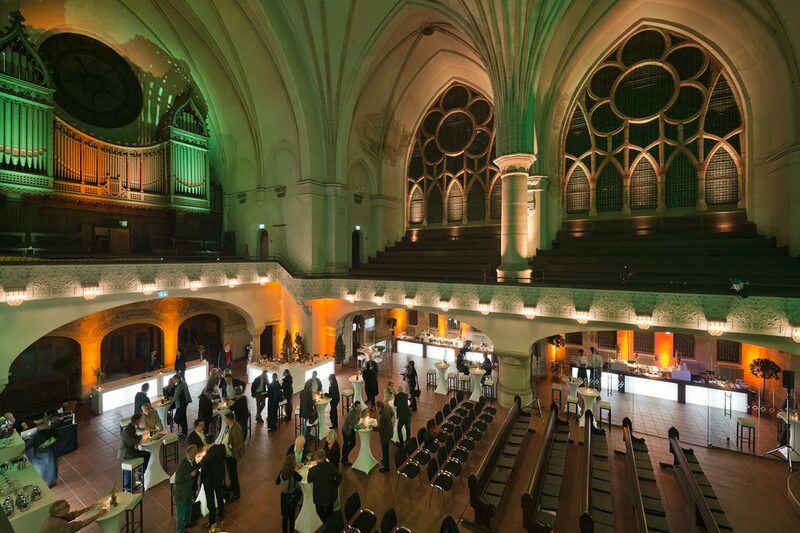 With ceilings of 20m, exquisite stained glass windows and a fully functional church organ, this venue holds a myriad of possilibilities. One of the hightlights of this space is the lovingly restored filament lamps that create a unique atmosphere. 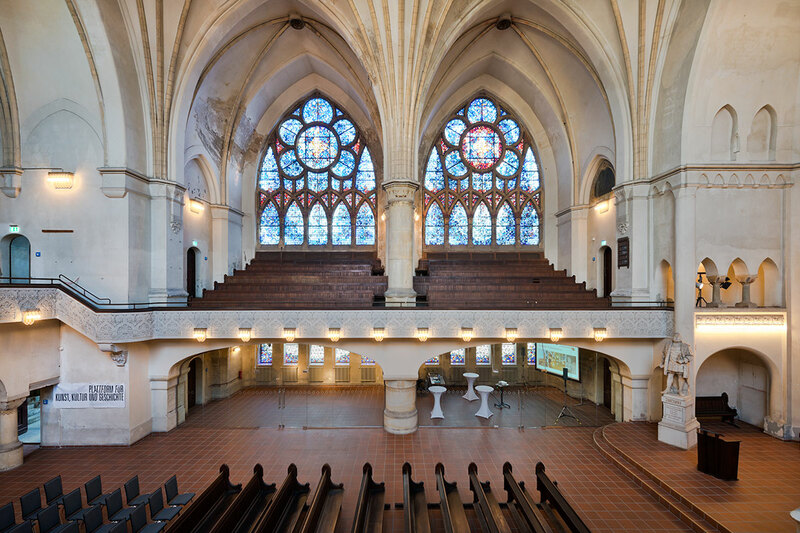 The lighbulbs – donated by a renowned lightbulb company – are also responsible for the church´s nickname of the "Glühlampenkirche" (lightbulb-lamp-church). 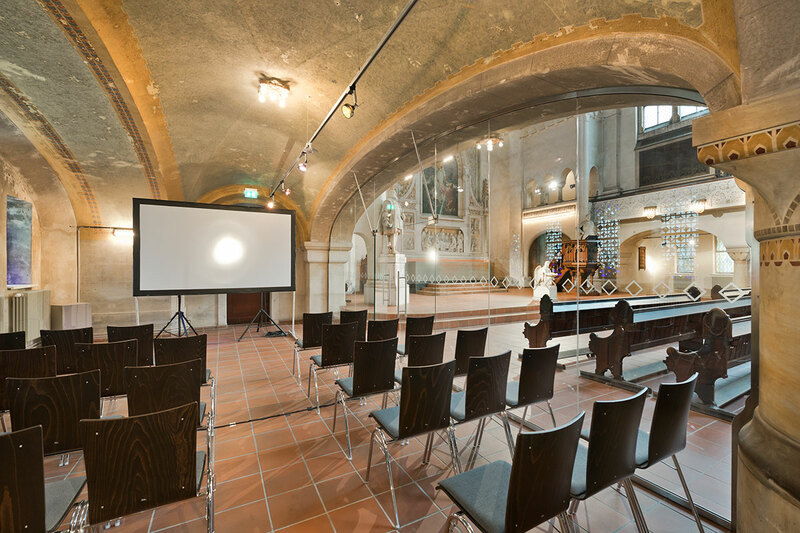 The 520m² floor space accross the Zwinglikirche holds up to 440 people for standing events as well as various other capacities in other event formats such as lounges, catering areas or exhibition areas – made possible with the use of transparent glass walls. 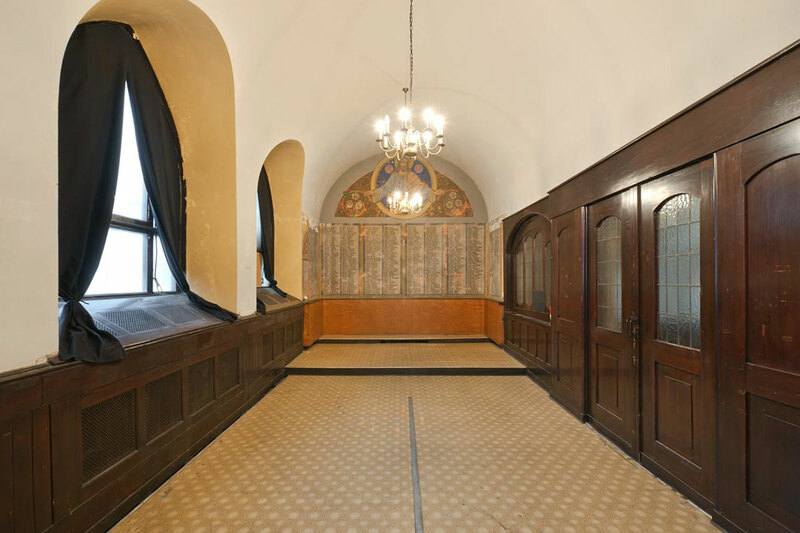 A winter church, a courtyard reception room and backstage areas: with these extra event spaces at Zwinglikirche there is always enough room for cloakrooms, a reception area, dressing rooms as well as back-stage and catering areas. 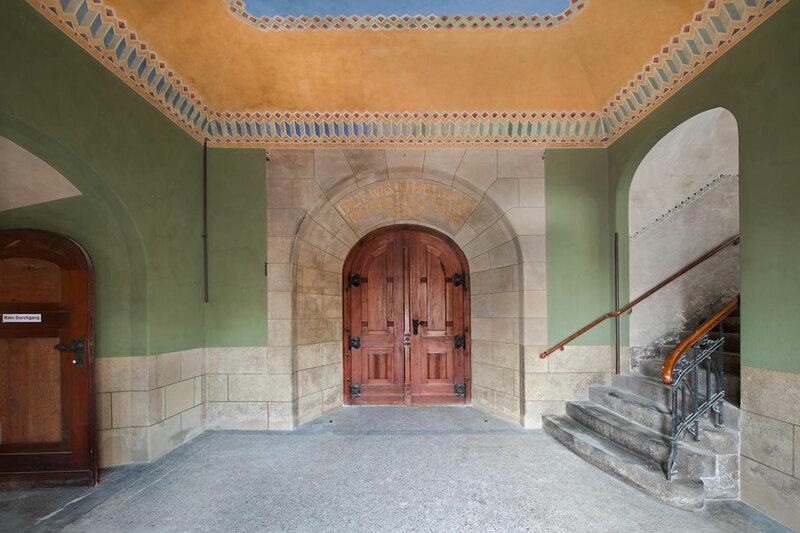 And when even more space is needed, Besondere Orte has Zwingli Haus right next door with its stunning main hall, the Huldych-Saal. 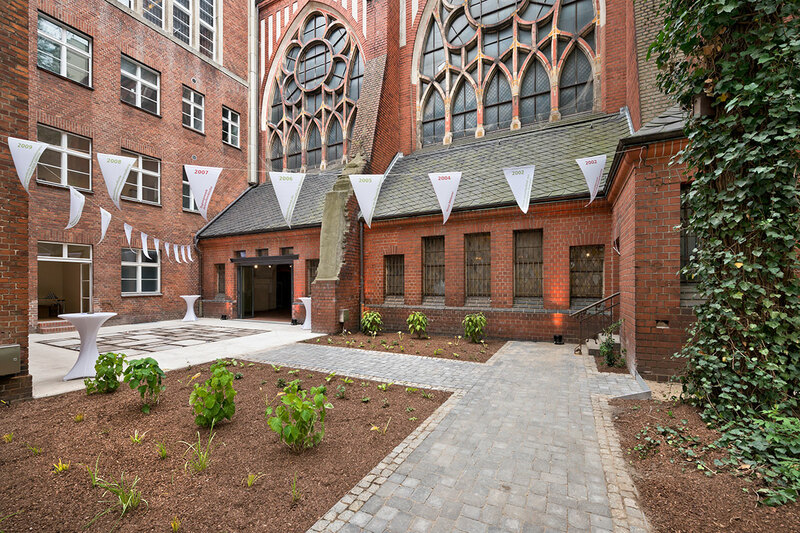 A further jewel in the crown of Zwinglikirche is the courtyard garden. 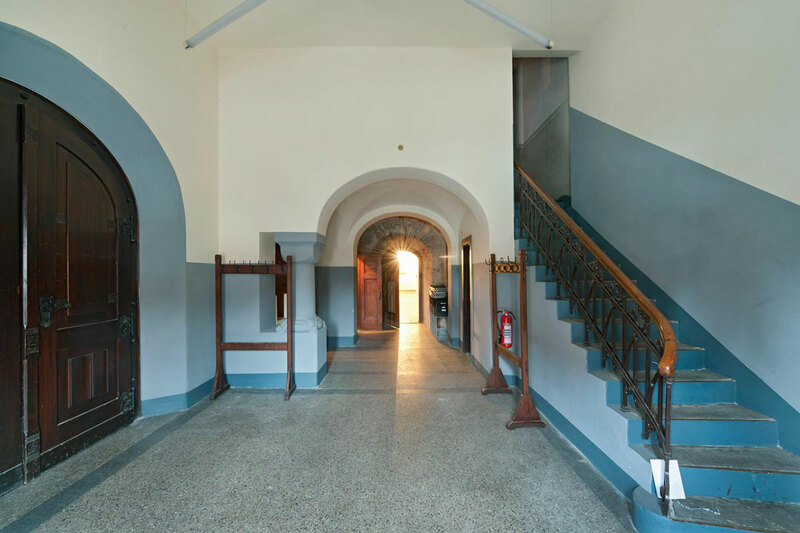 In summer the courtyard is the perfect accompaniment for events in the main hall. This is where barbecues or standing receptions can be held. 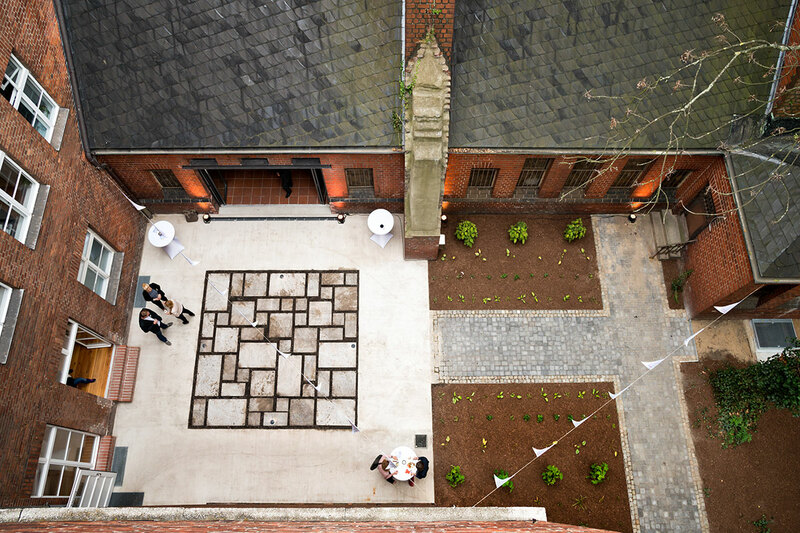 Even in winter the courtyard makes a perfect outdoor space to drink mulled wine – perfect for a Christmas celebration.